Marina Miraggio is one of Greece’s most technologically advanced marine projects and was developed with the cooperation of Aristotle University of Thessaloniki. 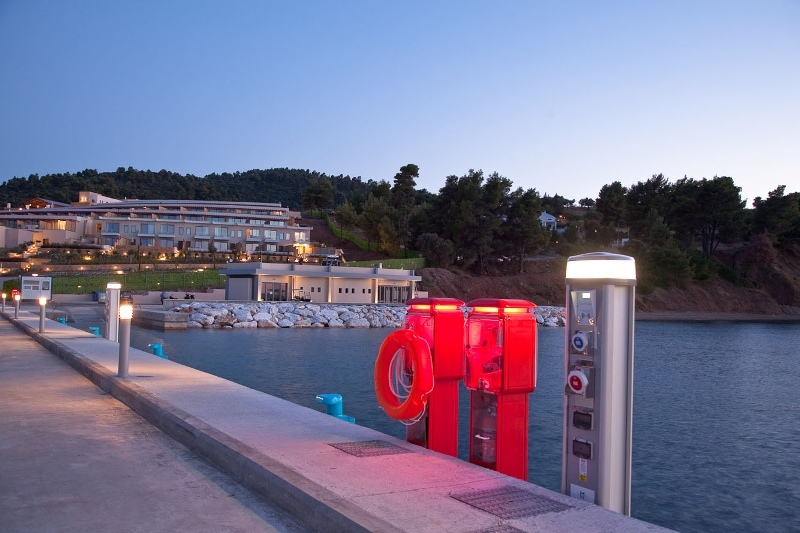 Marina Miraggio is the only facility of this kind at the southwest side of Kassandra peninsula, and also, the closest docking point in Halkidiki from the islands of Sporades. Its coordinates, 39ο 55’, 46’’ North, 23ο 42’, 21’’ East, make it the ideal hub for yachts either to sail to southern parts of Aegean or to the northern parts of Greece such as Kavala and Samothraki. It is an exceptional haven for sea fans enhancing the super-yacht experience with innovative construction, environmentally friendly operation and top-notch service.